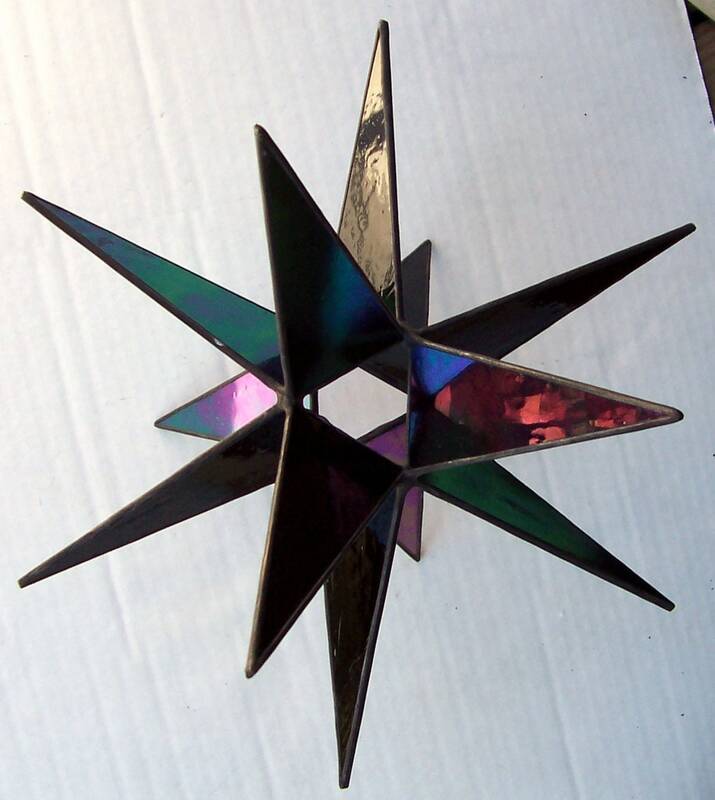 10-11 inch Iridescent Leaded Glass Tree Topper: This Moravian 12 point star has a glass tube to help support it on the tree with additional wire should it be needed. A strong tree branch is necessary due to the weight. Iridescent glass has the look of oil on water, it is shown off best with light reflecting off of it, as with table lamp lighting rather than through it, as in overhead lighting.